The City of Gainesville/Alachua County Senior Recreation Center celebrated its one-year anniversary Thursday. The center has grown to about 3,900 members and is home to many social and fitness programs. Thursday’s ceremony included speeches from former Alachua County Commissioner Cynthia Moore Chestnut and Gainesville City Commissioner Todd Chase. The celebration included tours of the classrooms and the fitness center, and speeches discussing the senior center’s community impact. George Smith, member of the senior center’s advisory board, said the center is important for seniors because it provides educational and social services in one place. Questionnaires are distributed on an ongoing basis to ensure that the interests of seniors in the community are being tended to, such as information on enrolling in health care programs. “We have crafting classes here, quilting, art, a variety of programs, plus the educational programs, plus the center houses people that come in and provide advice,” Smith said. Anthony Clarizio, executive director of ElderCare of Alachua County, said he was amazed by the number of people who have joined the center. 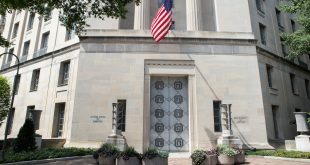 “We really thought in the first year that we would have about 1,000 members, and we really just cannot believe the amount that show up and use the center,” Clarizio said. 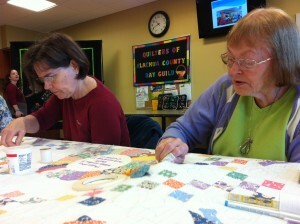 About 200 members use the center on a daily basis, amounting to about 1,000 seniors a week. “People are overwhelmed, impressed, delighted, because really the center started as an idea that really was hard to get launched because it took a lot of money to build this building,” Clarizio said. There are about 30 different clubs, including fitness, arts and crafts, bingo, book clubs, and hold ’em poker clubs, he said. 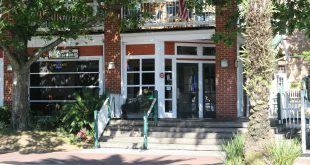 The senior recreation center provides a home for senior groups that were meeting all over Alachua County, and has boosted memberships for those groups as a result. All of the programs are led by volunteers. “That’s a critical piece because that also tells us that people in this community care about seniors,” Clarizio said. Katherine Kallergis edited this story online. Ariana is a reporter for WUFT News and can be contacted by calling 352-392-6397 or emailing news@wuft.org. 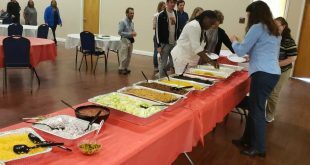 Some Gainesville residents are criticizing the city commission for spending city money on catered meals. The residents argue it's an unnecessary expense, while the commissioners argue it's a convenience issue.